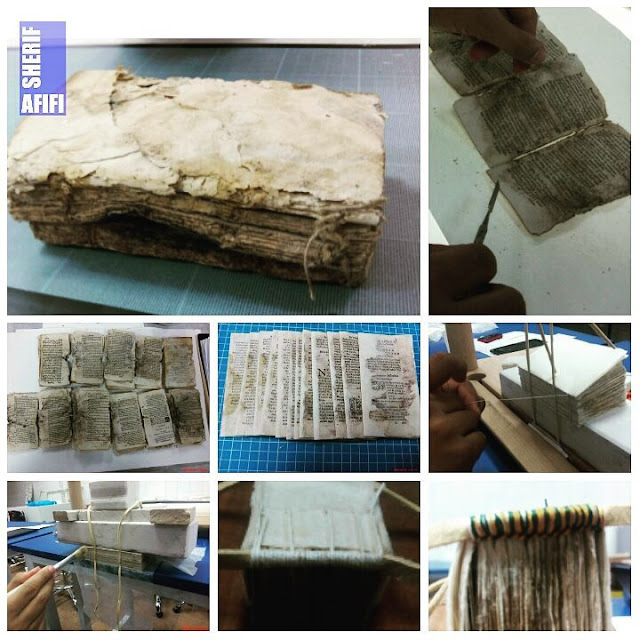 This assignment was assigned by Prof. Simona Inserra for a fully deteriorated 17th-century rare book. 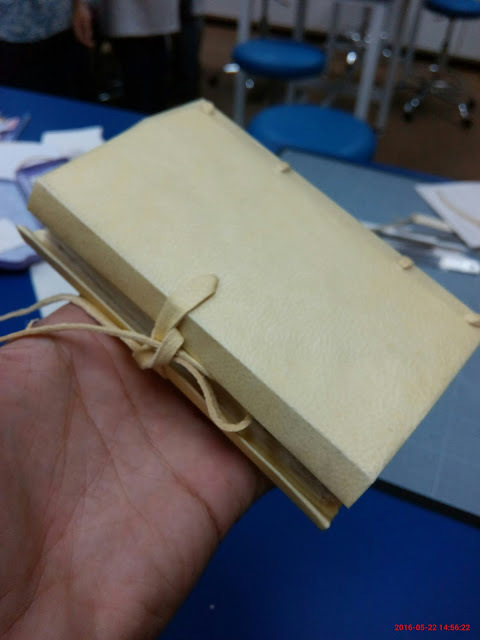 To demonstrate a restoration process under limited or very small budget and absent of most of the conservation labs equipment and in a very short time, this assignment was a good experience for my teamwork for working in a conservation lab that has a limited budget. That was the power of teamwork. The molds are the most dangerous infection and it is detrimental to health as well and you should take all the necessary action to prevent any infection.I urge you to use gloves and a mask to handle these moldy materials. 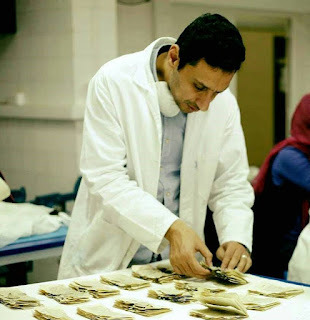 However, this video was by master students at the faculty lab (as mentioned on the description above) to demonstrate a restoration process under limited or very small budget and absent of most of the conservation labs equipment and in a very short time. 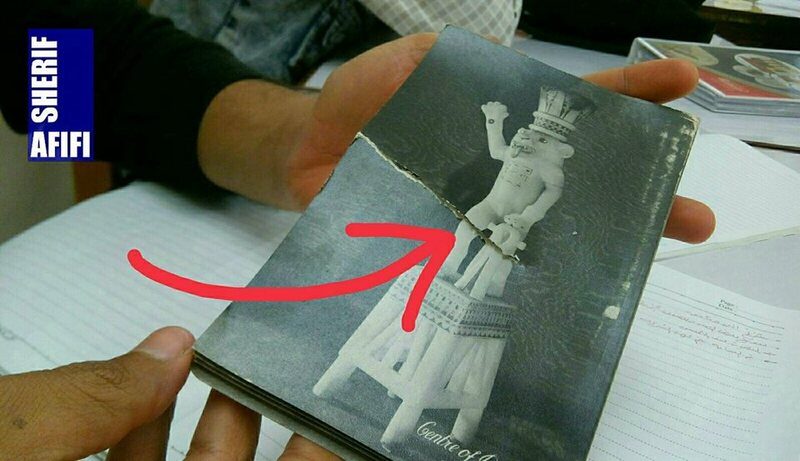 but before giving this object to the students; it was incubated to be sure that the molds are not active. 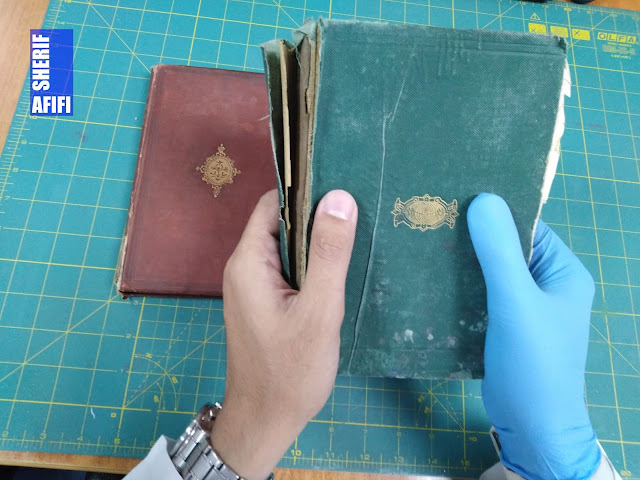 In addition, a lot of paper conservators believe that gloves in many cases make them clumsy and more likely to create more damage.